It’s no secret that media coverage can be a huge boost for your brand. Building strong relationships through honesty and thoughtfulness is a great way to start inviting media professionals to cover your trade show exhibit. 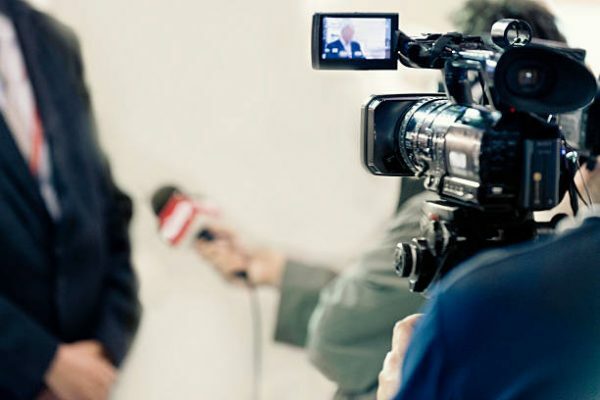 While not an easy feat, you have the best chance of getting covered by making your booth as “newsworthy” as possible and engaging the press consistently. Here are four tips on how to keep coverage coming. How does your trade show exhibit or presence stand out? Think about it… an article is pretty boring without a story. Are you an underdog having a great year? Are you launching a new product or service? Are you going green or becoming more accessible to consumers? Find a “news peg” and base your media outreach around that. Even in-booth engagement can be newsworthy when done right. Trade show giveaways, contests, and even games can grow attendee engagement and draw press coverage. A big giveaway, such as a large sum of money or cutting-edge piece of technology will really draw attendees and the media to your booth. 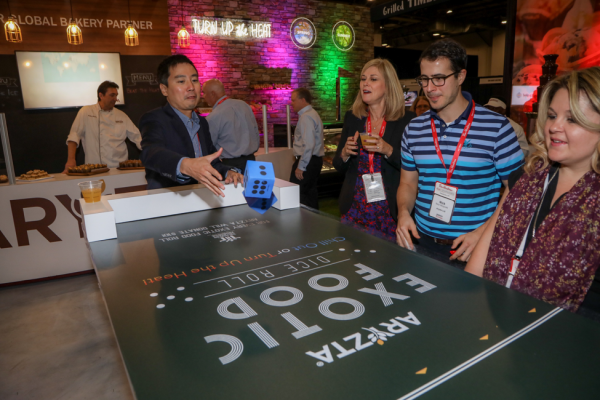 The “Exotic Food Dice Roll” in our ARYZTA booth drew in crowds from the show floor. Impact: What effect will your trade show exhibit have on the show or community? Timeliness: Sending a press release months before an event won’t win you any favors. Keep in mind how close your event is and what information the press will need to gather before doing a write-up. Proximity: How closely will this involve your community? Does your story appeal to everyday people? Remember to consider local publications. Community members might be interested in your booth, especially if you’re a local company. Otherwise, industry and local business publications are great places to pitch. Don’t forget about bloggers and vloggers, given their coverage makes sense for your brand. Conflict: How have you overcome an obstacle or moved past a conflict to grow your brand? Human interest: If you can figure it out, human interest is a great way to attract media to your booth. This one involves pulling on a reader’s heartstrings and using emotion to sell your brand. Partnering with a local nonprofit or charity is a great way to generate interest, but also furthers your brand’s social impact. Hitting three or more of these is a great way to drum up trade show engagement and interest. 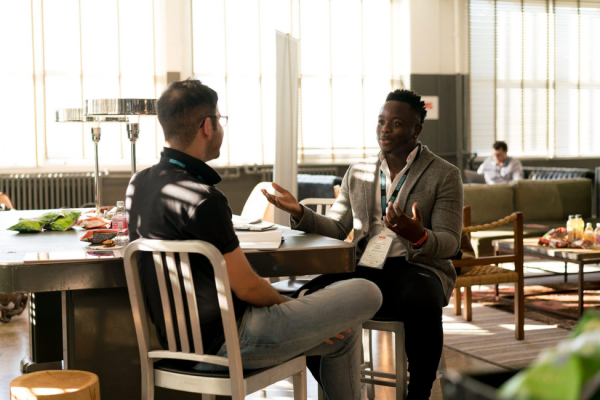 On top of having a newsworthy trade show exhibit, building relationships with writers, editors, and publications can help you grow a media presence. Do your research and find out which magazines/papers/blogs would be interested in covering your exhibit. Industry publications are a great start. Don’t forget to interact with journalists and show attendees on Twitter. Responsive companies can build a great reputation with both prospects and writers. Using event hashtags will also attract attendees and build your media audience. Check your show’s website and social media and then make a hashtag of your own to promote your unique display and its contests/giveaways. Creative media kits with unique packaging and complementary items can also garner good will from journalists. When it gets closer to the event, think about even sending a media survival kit, which could include a few creative things you think someone walking a trade show might want. 3. Snagged a journalist… now what? Okay, so you’ve built a relationship with a couple journalists and have a few interviews scheduled. Great! Now follow up with the writers—express how excited you are to meet them in person and share your story with them. Other outlets might not have scheduled interviews and may explore the show to find the most interesting exhibitors. If your booth has an enticing design with strong graphics, your staff must be prepared to answer questions from the press. It might help to create a common question and answer sheet so they aren’t caught off guard. Go the extra mile. Have some refreshments or chairs on hand to offer journalists. Remember, trade shows can be just as exhausting for them as they are for you. This will help build that relationship that you started on Twitter. A personal phone number for questions or follow-up can also go a long way in the world of journalism. Whew! The show’s finally over, and you can take a breath. Once you’ve had a break, find the articles that were written about you and tell your entire customer base about the coverage—without being obnoxious, of course. Link the article on your social media platforms. Don’t forget to tag the author and/or publication to thank them for writing about you. You can also link the article(s) in marketing emails or online newsletters. If you still use a print newsletter, ask the publication for permission to reprint the article and share it there, too. When it comes to press, going the extra mile is a must. Curating strong relationships and considering news values is a great way to start getting a publication’s attention. If you’re preparing a trade show exhibit, reach out to one or two writers this week and start building that relationship.